Mahir Zuber, the Chief Returning Officer (CRO) for the Scarborough Campus Students’ Union (SCSU) spring elections, resigned yesterday. “I do not wish to continue as CRO, due to fear for my own safety” Zuber wrote to the Elections and and Referenda Committee (ERC) on January 24. 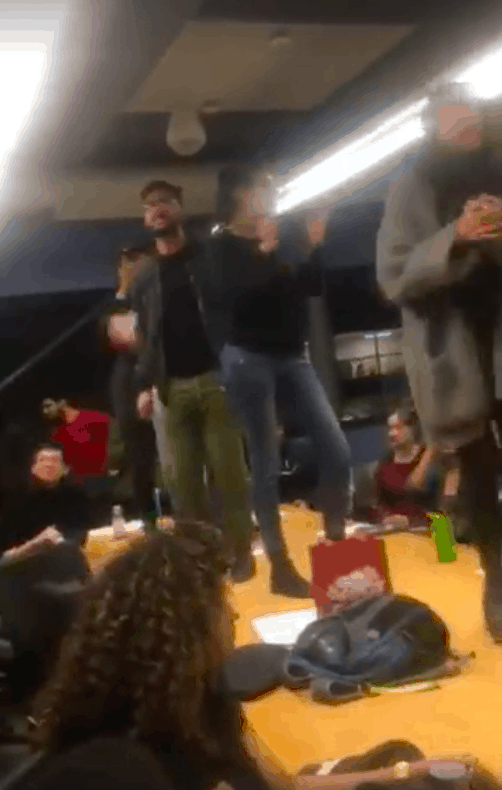 Protests and scuffles broke out at the SCSU election’s all-candidates meeting on January 22 over damning allegations made toward SCSU executives and staff regarding the upcoming election period. The uproar left Zuber injured and SCSU Internal Coordinator Arthi Velupillai seeking medical attention for an arm injury. In line with a petition currently circulating online, the protesters are calling for a freeze on the election until five concerns are resolved. Zuber’s resignation marks the second setback to the union’s executive and board of directors elections. The campaign period was meant to start on January 23 — the elections traditionally begin after the all-candidates meeting — but has since been delayed. The ERC must convene and schedule another all-candidates meeting before the campaign period can begin. Despite the two setbacks, the ERC maintains that the elections are still scheduled to take place February 6-8. The job posting for a new CRO has been put up on the official SCSU website. Calling the absence of the CRO “an urgent matter,” the ERC is encouraging people to apply as soon as possible. Avee Gandhi, a UTSC student, is simultaneously alleging that Zuber physically stopped Gandhi from entering the room. Deena Hassan and Ray Alibux, UTSC students seemingly at the helm of the January 22 disruption, are two of three candidates disqualified from running in the coming elections. Hassan, the current VP Operations at the SCSU, had planned to run for president of the union. She was disqualified after amassing more demerit points than is allowed for executive candidates. Alibux was disqualified after he failed to collect the requisite number of nominee signatures from UTSC undergraduates. The Varsity reached out to Zuber at his CRO email account but did not receive a response by press time. The Varsity is looking for other means of contacting Zuber for comment.